A volume so priceless it was 30 years in the making, the first book to offer everything you need to go from rags to riches in the fabulous, star-studded videogame industry is here -- are you ready to nail the ultimate high score? From making your own hit game to rocketing up the corporate ranks or turning pro, all the secrets lie inside! "Shows you how to make all your dreams come true ... and make serious money doing it!" "A home run... touches on all the bases necessary for creating a winning strategy for success in the videogame field." 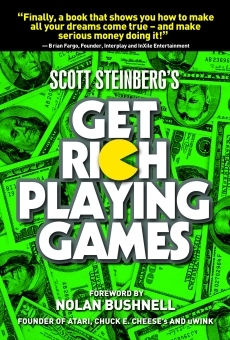 "Reveals the secrets of playing to win... and how to do it making great games!"